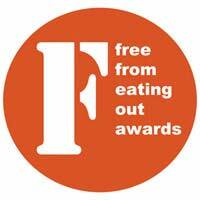 You are here: Home / Living Gluten Free / Fancy a (gluten free) pizza tonight? 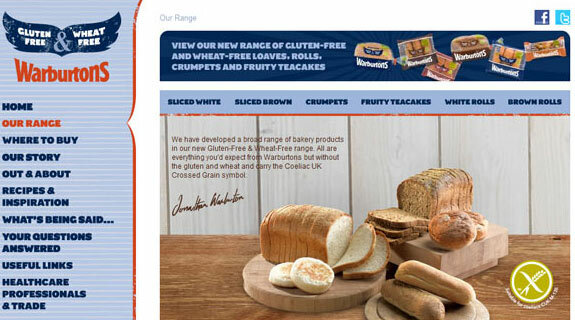 It’s always interesting when a big ‘normal’ brand moves into the gluten free market… will it work? Will their product be as good gluten free? Will they be able to sustain interest in their gluten free offering, or will it fold quietly? 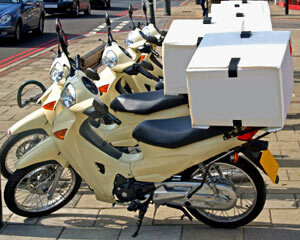 I went to the launch of the Dr Oetker Ristorante gluten free pizza range this week, in London. They were running a direct like-for-like comparison of their current (normal) pizza and their new (gluten free) pizzas, with a range of side dishes and cake (all gluten free). 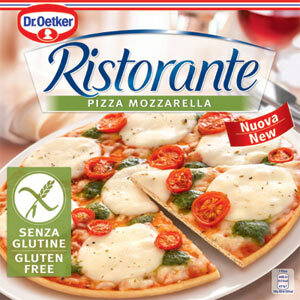 Apparently Dr Oetker are the UK’s favorite thin and crispy frozen pizza brand; I asked why they were launching their product now (when there are already gluten free pizzas on the market), and was told that it had taken a while to get both the base and the topping right. As we know, the free from market is increasingly interesting to food manufacturers, because it is big and continues to grow. Like so many others, Dr Oetker has developed their gluten free product to be of interest not just for coeliacs, but also for the large number of people who choose to be gluten free as a lifestyle choice. The gluten free versions of their pizzas are being launched across Europe now—though apparently the UK is the first to produce them. They are made on a dedicated gluten free line in a mixed factory. The packs are clearly marked as gluten free, so it will be easy to spot them in the freezer section of your supermarket (in Iceland from September, and Tesco from October). And what did I think of the pizza? Longtime readers will know that it is our eldest daughter who is the coeliac in our house, not me, so I was able to taste and compare both the normal and the gluten free versions—at least, the vegetarian ones. And I found the gluten free version to be very convincing—very like the normal version—and the topping stayed put nicely (it didn’t slide off, which can be a problem sometimes). I would like to see a wider range. Mozzarella & pesto or salami are the gluten free options at the moment. I’d like to see something more adventurous: perhaps a good vegetariana one, or goats cheese and caramelised onion. Apparently Dr Oetker will develop more flavours if enough people express interest, and obviously I could always add toppings to the mozzarella one if I wanted. In the meantime, though, I think this is a pizza that a coeliac could share with a non-coeliac friend, and both would be happy.